In my last post, I ran through the basics of the organized Tapas Route phenomenon in Spain (the where, what, when, why, how). Here, with a preface, is a sample day on the Tapas Trail in my neighborhood. “We live in a decade that worships speed: fast food, one-minute managers, sixty-minute gourmets, three-minute miles. We lace up our running shoes and dash off to get on the fast track. As I read this passage, I could feel two phases of my life in parallel. I recognized the fast-paced world Colwin described, and in the past, would have fully felt a part of that collective “we.” Yet I realized I no longer fully belonged in this “we” after three years of living in Spain. Here, I have learned, it’s best not to have afternoon or even evening plans when meeting with friends at 1 pm for an “aperitivo,” an “appetizer,” which tends to prolong itself into lunch, coffee and drinks. And then, what do you know, it’s time for dinner again (I’m talking 10 pm). Dinner in this case is often improvised at a friend’s home, like thin slices of pork loin a la plancha, a salad and wine. As I wrote in my last post, on days such as this, I have been learning to ignore “that little internal voice suggesting perhaps I’d had enough.” I do still have that little voice, a bit of Colwin’s “we.” But the Spanish we is different, and, the good thing is, it’s not exclusive. Anyone can join, the more the merrier. Meals in Spain are not necessarily the languid affairs Colwin wrote about, especially when they involve tapas. Lively would be a better word. But boy can they be long, but who’s counting? No corporate takeovers or five-mile runs for me (i.e. us), at least not on meal days with friends. At 2 pm, my friends and I enter our first bar on the Route and seize the only remaining elbow space at the chrome counter. We must yell our order to be heard over the din. Here, we begin our day with a literal bang, biting into queso explosivo (pictured at the top of the page), a thick wedge of mild, fresh goat cheese dipped in an “explosive” batter loaded with snap-pop candies and deep-fried. The mini combustions in my mouth surprise, yet the syrupy sweetness of the quince marmalade leaves the final impression. I would have appreciated more salty contrast in the batter, but nonetheless enjoy this playful version of fried cheese on a stick. We order another tapa that catches our eye at the bar, tender pulpo al horno, oven-roasted octopus, which is entirely savory minus a tart squirt of lemon. At the next stop, we are lucky to snag an outdoor table. The tapas here are more standard and set the themes we’ll encounter throughout the day – fried finger food and canapés, various toppings on thin slices of baguette. The crisp crepe wrapped around the fried ham and cheese rolls crackles as we bite in. 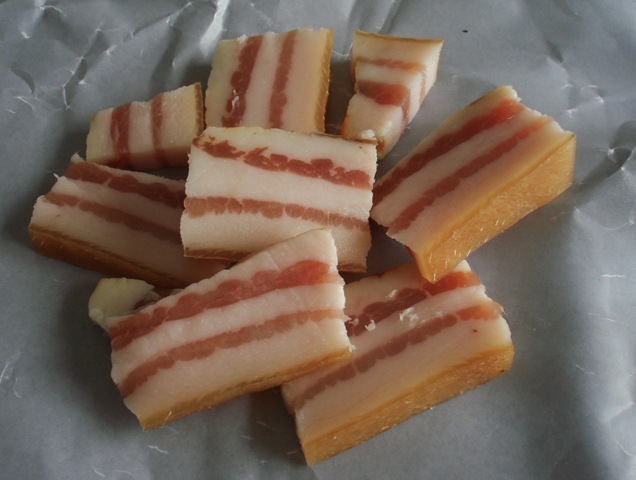 What could be better than flavorful ham and melted cheese? The pork tenderloin canapés with salty, tangy roquefort and sweet roasted green peppers quickly disappear. In fact, my two beers have outlasted the two-bite tapas and time pressure creeps in (I tend to be a sipper, not a guzzler), if only to catch up with my friends. Due to the itinerant nature of the organized Tapas Route, time is more of the essence than in other meal situations. 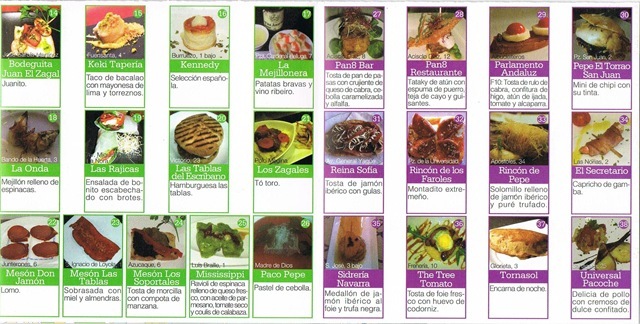 There are so many bars to try, and so many stamps to get on the Tapas Route passport (see last post). Yet these are only immediate pressures, for the end of the day is nowhere in sight. The next tapa, which we eat standing, is my favorite on the Route – a canapé spread with zarangollo, Murcia’s sweet zucchini and onion scramble, topped with local fennel-flavored sausage. After another stop not worth mentioning (every Route has a dud or two – this one involved a long wait, an unapologetic staff and a forgettable tapa), we meet up with more friends at Carmica, a creative neighborhood restaurant, which isn’t on the official Route, but has joined in spirit with a 2 euro tapa and drink menu. Carmica is serving canapés with international flavors, topped with bite-size slices of tender beef filets in a creamy sauce with hints of Worcestershire and curry. My first glass of wine is served in a plastic cup, much to the horror of a nice gentleman (a friend of a friend’s cousin – everyone’s a friend here) who later buys me another wine, this time in a glass. There always seems to be someone making sure your hands are not empty on the Tapas Trail. And I’d just told myself I’d had the last. It’s nearly 8 pm, six hours after we began. So much for ultimatums. The corporate takeover, so to speak, will have to wait. 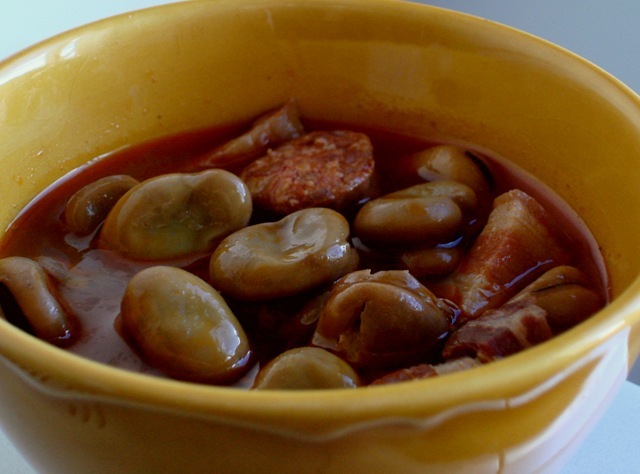 These are some of my favorite words to hear or say in Spain, where going for tapas is not only an opportunity to try an intriguing array of small bites, but is often an exhilarating social experience, as well. There is an element of adventure in a tapas excursion – you never know where you might end up or who might join in along the way. In fact, I have found that tapas are more fun in groups of at least three to four. With a larger number, as opposed to a pair, a group (i.e. feast) mentality takes over, fueling the collective appetite. At other times, I may be more restrained, but standing in a tapas bar, fork in hand, the group sweeps me up, handing me one more tapa and another glass of wine. Forget about that little internal voice suggesting perhaps I’d had enough. As any of you who have been to Spain know, you can make your own tapas route just about anywhere in the country by roving from bar to bar with your dining companions and sharing several small plates at each stop. Here in Murcia, where the sun shines over 300 days a year, streets and plazas are perpetually vibrant, and tapas are a way of life. This means I happily hear and say ¡Vámanos de tapas! on a regular basis. 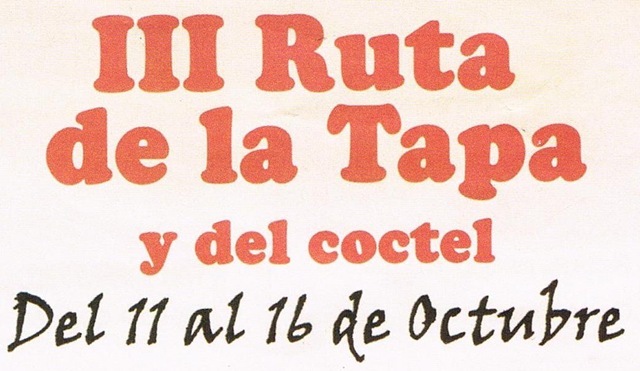 It thus comes as no surprise that I love the Ruta de la Tapa, with a capital R and capital T. I am not talking about any DIY tapas route, but rather an organized Tapas Route. Over the last several years, such routes have been popping up in cities and villages throughout Spain. 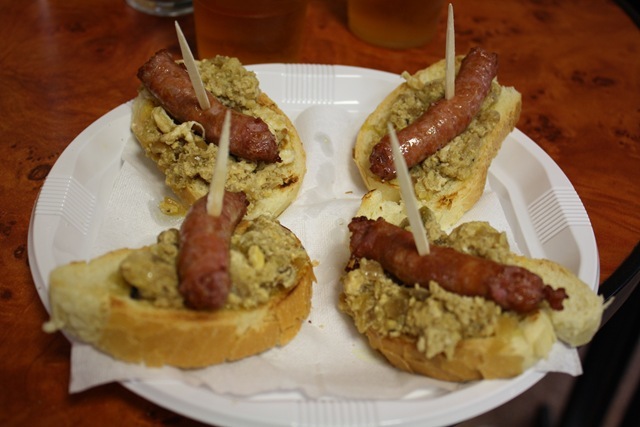 Often put together by restaurant associations or festival committees, Tapas Routes last for a limited period, usually about a week, typically in conjunction with a town’s annual fiestas. 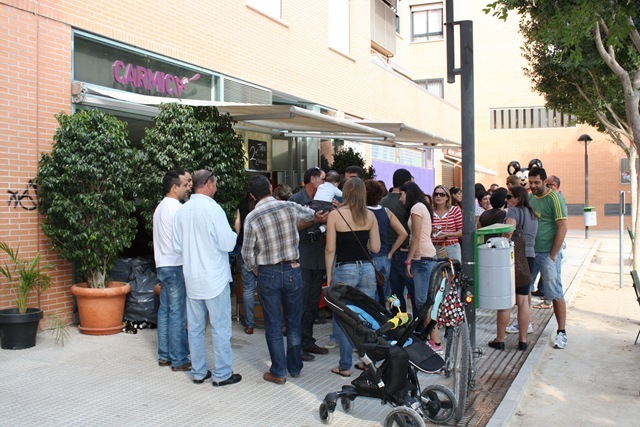 Local bars and restaurants on the route offer a special tapa and a drink (beer, wine or soda) for around two euros. One of the most stand-out tapas I’ve tried on a Tapas Route in Murcia was at Rincón de Pepe, a classic restaurant downtown. For my two euros, I got a draft beer and a brownie-size portion of roast suckling pig served on a mini bed of sautéed chard, pine nuts and ibérico ham, nestled in an airy potato emulsion that dissolved in my mouth like sea foam. Digging into the crisp outer layer of the pig with my fork was like breaking into a crème brûlée. Beneath this fragrant, toasted layer, the meat was succulent and tender. Not all tapas I’ve tried have been so sophisticated, but, overall, from what I’ve seen, the Tapas Route is an opportunity for chefs to get creative. 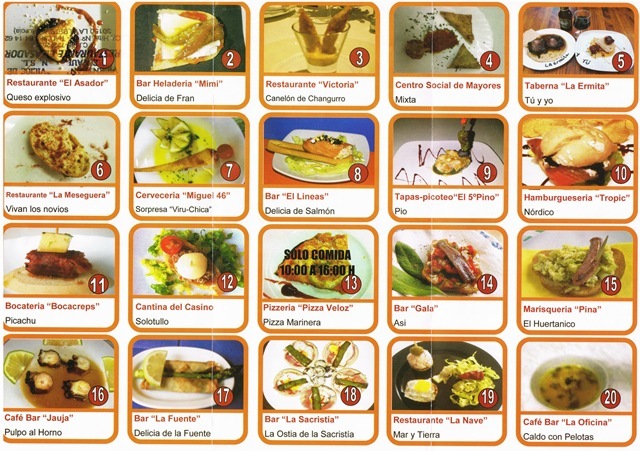 The “Wow!” factor is important, because, in Murcia at least, you get to vote for your favorite tapa. 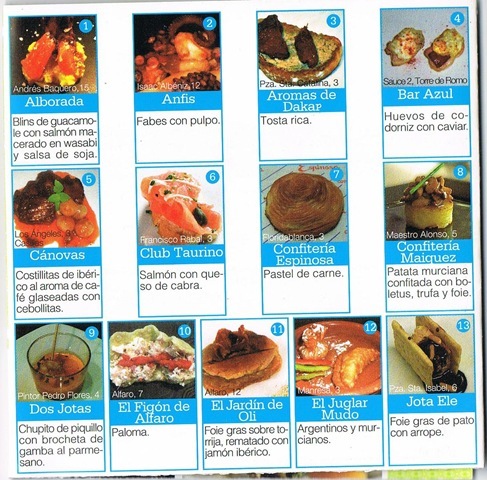 In fact, the tapa I mention here won Best in Show in 2009. 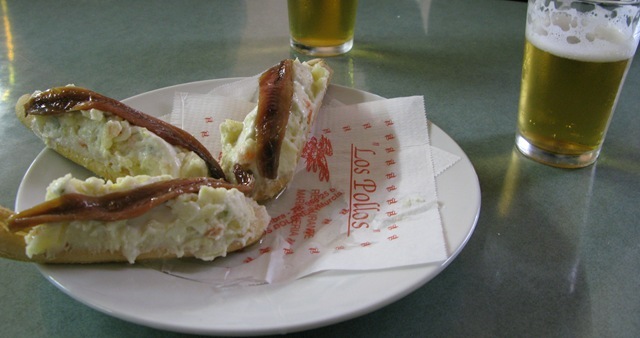 In Murcia, the Tapas Route has been a boon for businesses. For route-goers, it’s a bargain, and a lot of fun. The atmosphere in participating bars is guaranteed to be lively, and the tapas are particularly adventurous. A “passport” turns the Tapas Route into an exciting quest. This is my passport from the third official Tapas Route in my neighborhood, a village within the city of Murcia. Naturally, I have been to all three. Here’s my passport from downtown Murcia’s “De Tapas por Murcia,” 2010. This year, the downtown event was moved to early September to take place during Murcia’s Feria. Sadly, I missed it, which was only because I was across the Atlantic. The passport system provides extra incentive to eat as many different tapas as you can (and drink the accompanying libations). In each bar you stop for a tapa and drink combo, you get a stamp. With enough stamps, you can enter a drawing for a prize, which is typically food- or drink-related. 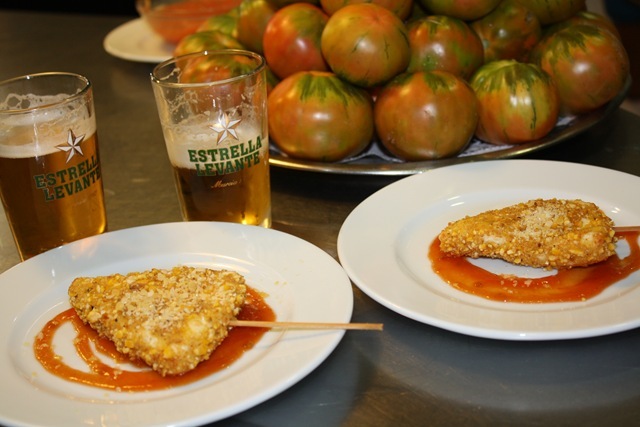 For example, in the 2010 Tapas Route in Murcia, the first prize winner received his or her weight in Estrella Levante, the local lager (extra reason to eat more tapas, to inflate the numbers). This year in La Alberca, the prize was a weekend getaway for two, meals included. I have never won a prize during a Tapas Route, but have seen the numbers on my scale creep up, as well as those of my blood alcohol level. The Tapas Route is particularly perilous in this respect, because you have one drink per tapa, instead of a couple of tapas per drink. The pace is relatively quick, because there are so many tapas to try. I always plan to walk or catch a taxi home, and am always glad I did, simply not to worry, and let the route take me where it will. 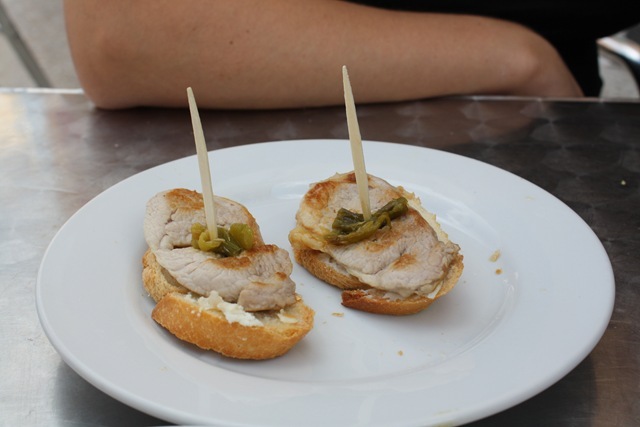 Be on the lookout for my next post, “A Day on the Tapas Route,” an account of last week’s tapas crawl in my village. If you are visiting a town in Spain, particularly during its fiestas, look for tapas route posters in restaurants and bars. They go by different names, typically something like Ruta de la Tapa, Senda de la Tapa, or De Tapas por (the name of the town). In Murcia, each participating establishment has passports on hand. 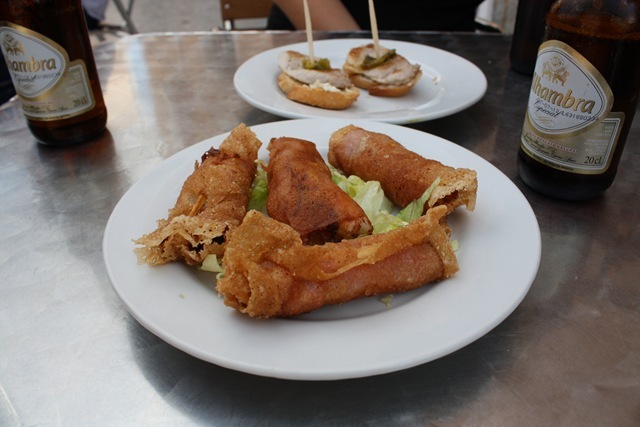 Behold the marinera, Murcia’s favorite tapa, which always goes oh so well with that first cold lager. For those non-Murcianos out there reading this, the marinera is a mound of ensaladilla rusa, a creamy potato and tuna salad studded with bits of pickled cucumbers, carrots and olives, served on a looped breadstick and topped with an anchovy. 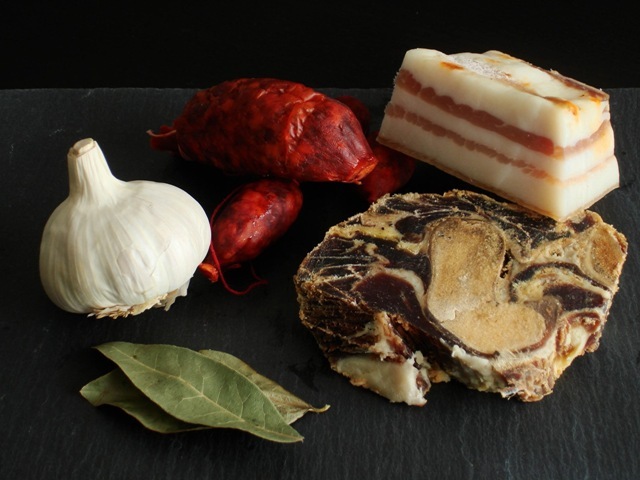 You can also order a marinero, the same base but topped with a tangy vinegar-cured anchovy, a boqueron, instead. If anchovies aren’t your thing, than the anchovy-free bicicleta (yes, bicycle, go figure) is for you. I’m a definite marinera fan. I love the salty anchovies, and the contrast they give to the sweet and tangy notes of the salad. I also love the challenge of eating a marinera, which takes some practice, and still often results in breadstick fractures that undermine the structural integrity. This is nothing that a few exciting rescue bites can’t solve, however, like swooping in for ice cream that’s about to fall off the cone. 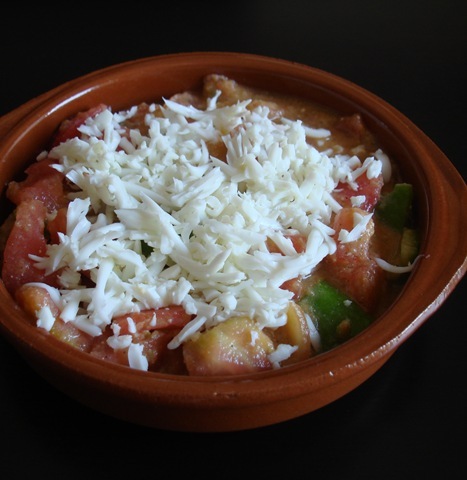 The ensaladilla rusa, Russian Salad, can be found in bars and homes throughout Spain in various forms, the best of which is often, of course, the one made by mamá. Yet I have found that Murcianos are particularly proud of their Russian Salad, and turn up their noses at the cooked peas and carrots, often canned or frozen, typically found in other cities’ versions. I have never tried the ensaladilla elsewhere, but must admit that the other variations sound rather dreary to me, more Siberian, say, than Mediterranean. 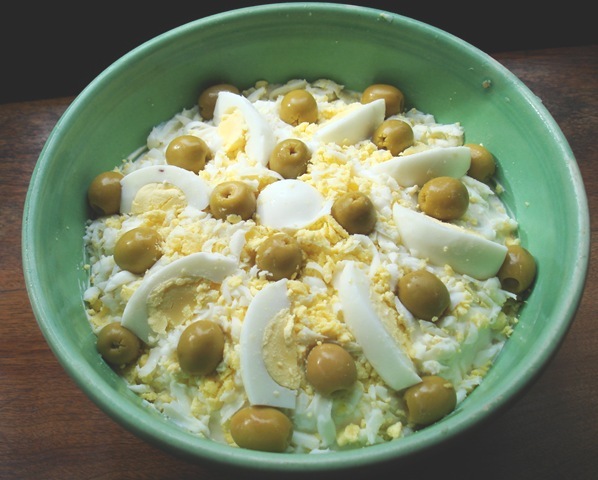 Ensaladilla rusa is ubiquitous in Murcia throughout the year, a reliable presence at bars, family meals and gatherings like soccer parties and picnics. It is a comfort food for many, an old standby that never lets down, which, after three years here, it has become for me. After time away, one of the first things I crave is a marinera and a beer (they go hand in hand, after all). I feel almost like a local as I bite in, savoring the now familiar flavors anew. Jazz up your next potluck with this flavorful twist on the potato salad. As with many salads, the exact quantity you use of all the ingredients is a matter of personal preference (for example, I like lots of pickles and olives, and often add an extra can of tuna). Some people like to add diced hard-boiled eggs directly to the salad. In terms of mayonnaise, use your favorite, homemade or store-bought, because you definitely notice the flavor. Hellman’s is the store-bought brand of choice in Murcia, although Manolo says the Hellman’s he’s tried in the US tastes different (not bad, he says, just different). 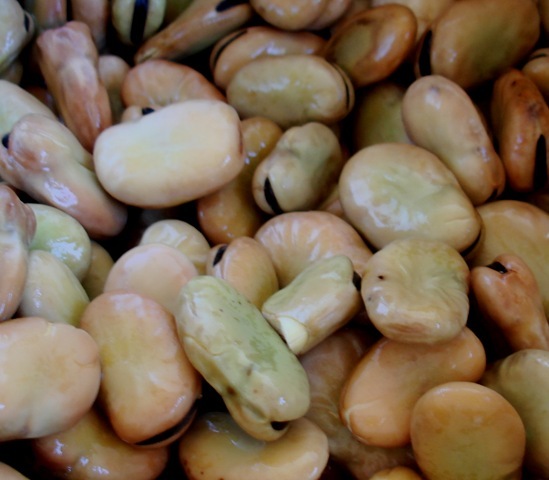 In Murcia (and in the rest of Spain, too, I think), you can buy the variantes (the pickled bits) pre-chopped in jars or in bulk at farmers’ markets next to the olives. In the US, I have been able to make my own variantes using minced carrots and cornichons (tangy French-style pickles, rather than dill) and their juice (see Cooking Note). *Take note: this step should be done two days ahead, so you can make the salad one day ahead. Locally made looped breadsticks called rosquillas are used to make the marineras, although I’ve yet to come across any in the States. The circular Italian breadsticks (taralli), which I have seen in Italian markets, would work well, or even crackers. The challenge of the hole in the middle is fun, but the most important element of the breadstick, I would say, is the crunch. Place potatoes in a pot and cover with cold water. Bring to the boil and then add salt. Cook at a gentle boil until the potatoes are just cooked through, but not falling apart, about 10-15 minutes (just at the point when the potatoes are easily pierced with a fork). Drain and allow to cool. Blend the tuna with the potatoes in a large bowl using a fork. The potatoes should break down to a chunky purée in the mixing process. Add the variantes and minced olives and stir until evenly distributed. Slowly add mayonnaise by the large spoonful, tasting once the salad holds together to decide if you wish to add more or not (the salad should not get to the point that it’s runny, however). Smooth out the surface for decorating. Drop mayonnaise by the spoonful over the salad and spread with a rubber spatula until a thin layer covers the surface. Then grate two hard-boiled eggs evenly over the mayonnaise, resulting in a soft yellow cushion for the final decorative flourishes, several whole olives and one sliced hard-boiled egg. Cover bowl with plastic wrap and chill in the refrigerator for at least two hours before serving. This salad is even more flavorful if prepared a day ahead. Place a scoop of chilled ensaladilla rusa on a circular breadstick or cracker; lay an anchovy on top. 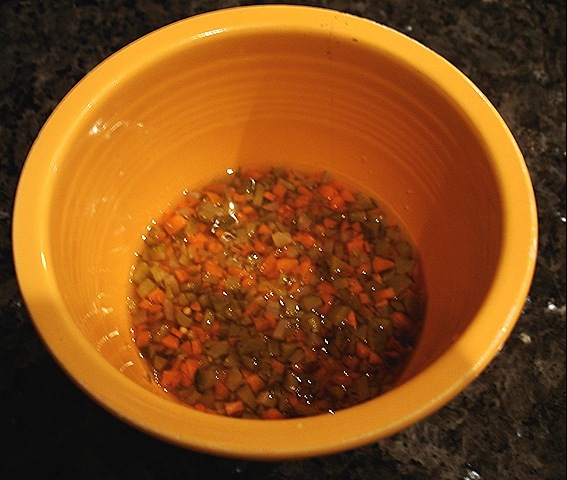 Cooking Note: To make 1/2 cup of variantes (pictured below – I know, the lighting is terrible), you’ll need to place roughly 4 tablespoons of minced carrots and 4 tablespoons of minced cornichons in a small bowl and add enough cornichon juice to cover. Store covered in the refrigerator until ready to use. Make your variantes at least a day before you make the salad so that the carrots are nice and pickled by the time you add them.